The 2017-18 NFL playoffs have progressed to the second round. Division playoff weekend is arguably the best of any week of an NFL season. That is because all four of the best teams of the season are playing on a national stage. At the same time NFL fans are treated to a four-game weekend, unlike the remainder of the playoffs. And as opposed to this last weekend, we get to watch all of the season’s best teams. This entry was posted in 2017 NFL Season and tagged 2017 NFL playoffs, AFC, AFC Divisional Playoffs, Atlanta Falcons, betting line, Divisional Playoff game, Jacksonville Jaguars, Minnesota Vikings, New England Patriots, New Orleans Saints, NFC, nfl advanced lines, nfl early lines, nfl look ahead lines, odds, Philadelphia Eagles, Pittsburgh Steelers, Tennessee Titans on January 7, 2018 by John Morgan. An injury-ravaged Oakland Raider team lost 27-14 at Houston Saturday in a game that was far more one-sided than the final score indicated. That Texan victory coupled with the expected Steeler annihilation of Miami at Heinz Field Sunday means that the Texans’ reward is an opportunity to travel to Foxborough. Houston now faces the daunting task of facing the 14-2 Patriots. 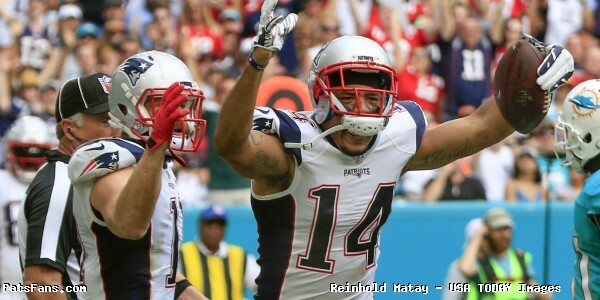 The Pats forced three turnovers and crushed Houston 27-0 in week three with Jacoby Brisset at quarterback. Over their franchise history the Patriots are 7-1 versus the Texans, with the lone loss coming in a meaningless week 17 game seven years ago. In the only playoff game between these two clubs the Patriots prevailed 41-28 four seasons ago. That game followed the infamous decision to have Houston players arrive in high school style varsity letterman jackets. For the fourth straight season the Patriots will play in prime time in the divisional playoff round. There is a simple reason for this. With the exception of Pittsburgh, no team that played in the first round is remotely close to the Patriots in terms of excitement and entertainment. The Patriots have had sixteen consecutive winning seasons and fourteen straight years with double digit win totals. It is no wonder that fans of the 31 other teams hate the Patriots, witnessing a stretch of success that is unparalleled in the salary cap/free agency era. That type of productivity and success is the perfect recipe to make the Patriots villains for every other NFL owner and their fans. Who: 9-7 Houston Texans (#4 seed, AFC South champs) at 14-2 New England Patriots (#1 seed, AFC East champs). When: Saturday January 14 at 8:15 pm ET on NBC. Where: Gillette Stadium, Foxborough MA; FieldTurf surface. Weather: Cloudy afternoon skies with a high of about 33° F; winds from the north at 10-15 mph. Chance of snow is predicted to zoom from zero during the day to 60% at night, accumulating one to three inches. Low of 23° with light and variable winds of about 5 mph. Keep in mind that this is New England, so the forecast could very well change between now and kickoff. Coaches: Dorchester native Bill O’Brien is in his third year as an NFL head coach. His Texan teams have finished 9-7 in each of those three regular seasons, and he is now 1-1 in the playoffs. BoB was with the Patriots from 2007-11, serving as the offensive coordinator in his final year with the Pats. After that O’Brien spent two years as head coach at Penn State, resurrecting the Nittany Lions from sanctions following the aftermath of the Joe Paterno-Jerry Sandusky scandal. Bill Belichick is now in his 22nd year as an NFL head coach, with a 237-115 (.673) regular season record. BB also has 14 playoff appearances, including the last seven in a row. Belichick is 23-10 in the playoffs (22-9, .710 with the Patriots) with four Lombardi trophies and six conference championships. The Hoodie also has two Super Bowl rings as defensive coordinator for the Giants. Odds: In the early advanced look-ahead lines published prior to the wild card games the Patriots were listed as 13½ point favorites over Houston. After Sunday’s games the Patriots have initially been listed as 16-point favorites against the Texans. The MGM Mirage is listing the Pats as 17-point favorites, while some other venues are at 15½. For now the over/under is at a total of 45 points. Head-to-Head Series Record: The Patriots lead the all-time series 7-1. That record includes the lone playoff game between the two teams, a 41-28 victory following the 2012 season. The Patriots have defeated Houston twice since O’Brien became the Houston head coach. Late in 2015 the Pats won at Houston 27-6. The New England defense sacked Brian Hoyer five times, limiting Houston to just seven first downs and 189 yards of offense. Earlier this season the Patriots easily prevailed 27-0 at Gillette Stadium, with LeGarrette Blount rushing for 105 yards and two touchdowns. Here is a look at how the two teams compare statistically; the numbers reflect an average per game (or per play), rather than aggregate totals. Per-game and per-play stats are used rather than gross totals because that makes the rankings more meaningful, and because they provide a better context in regards to what to expect in any given game. Numbers in green indicate a top-ten ranking while underlined green is top-five; red indicates a bottom-ten ranking and underlined red is bottom-five. As you can see Houston does possess a formidable defense, but the Texan offense makes this game a mismatch on paper. Fortunately for Houston fans games are won and lost on the field and not on stat sheets. Hat tip to Jim Armstrong of Football Outsiders for many of their advanced statistics, including drive stats and DVOA. Interceptions, Fumbles and Recoveries, Oh My! Other than points on the scoreboard, is there a more important NFL game stat than turnovers? The Pillsbury Doughboy waited long and patiently for this critical section. If you are still reading at this point, congratulations. Apologies for the lack of brevity, but pick and choose what stats are meaningful to you for this game. It will not be a surprise if Houston gives the New England offense fits early on. Keep in mind some of that is due to the Patriots seeing how the Texans react to different formations and play calls before you hit the panic button. The Patriots will methodically do what they need to do to win, while also minimizing opportunities for Houston to come away with an upset victory. Houston has had issues this season with their special teams coverage. That could set the Patriots up with a short field and a quick score. Once the Pats take a lead this Texan team is in trouble. Their offense does not have the talent to keep up with the Patriots. 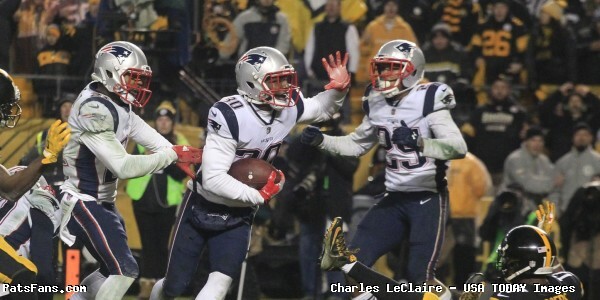 This entry was posted in NFL Commentary, Patriots Commentary, Patriots News, Patriots Stat Breakdowns and tagged 2016 NFL Season, 2016 Patriots season, AFC, AFC Divisional Playoffs, against the spread, betting line, Bill Belichick, Bill O'Brien, Divisional Playoff game, Houston Texans, New England Patriots, odds, Patriots, Patriots stats, Pats, stats, vegas on January 8, 2017 by John Morgan. Three weeks ago the Arizona Cardinals bludgeoned Green Bay in a shockingly one-sided 38-8 victory. Saturday evening the Packers will have an opportunity to prove that game was an anomaly as they travel to Glendale for the first of this weekend’s NFC Division Round playoff games. Odds: The line has been remarkably steady all week, with Arizona favored by seven points at almost all betting parlors. As of Friday afternoon the only exceptions to be found were Treasure Island (-6½) and SportBet (-7½), so consider one of those venues based on which side of a touchdown difference that you are leaning towards, or if you want to play a parlay or teaser. Most sites list the point total at 49½, though there are a few with an over/under of 50. Money Lines vary slightly from one place to the next, with a typical ML listing Arizona -300 and Green Bay +250. Early in the week over ¾ of the money was being placed on Green Bay and well over 80% of the wagers were on the over. During the course of the week the dollars slowly but consistently shifted, to the point where 60% of the cash is now on Arizona. The point total money is still heavily leaning towards a high scoring game, with more than 70% on the over. Two-thirds of the money line dollars are backing the Cardinals as of Friday afternoon. Head-to-Head Record: Considering the history of the two franchises, it should be of no surprise that Green Bay holds about a 2:1 advantage in the all-time series. The Packers are 46-23-4 versus the Chicago/St. Louis/Phoenix/Arizona Cardinals in the regular season, and 1-1 in the playoffs. However, 67 of those games were played before 1991, and the Cardinals have won two of the last three. In a wild card game following the 2009 season Arizona won a shootout 51-45 with Kurt Warner and Aaron Rodgers combining for nine touchdown passes and 802 passing yards. The game was decided early in overtime when the Packers turned the ball over for the third time, and Karlos Dansby returned a fumble 17 yards for a touchdown. In the 38-8 game three weeks ago Arizona forced four turnovers and recorded nine sacks, limiting Green Bay to 77 net passing yards and 178 yards of total offense. The Packers were without starting left tackle David Bakhtiari because of an ankle injury, and then lost starting right tackle Bryan Bulaga in the nine-sack debacle three weeks ago. Both should be back for this game, and Arizona will be without OLB Alex Okafor, who was placed on Injured Reserve due to a mystery toe ailment suffered during the bye week. While the loss of Okafor hurts, even without him the Arizona front seven is still one of the best in the league. The Packers were able to run the ball effectively last week, which – along with the hurry-up, no huddle offense – opened things up for the passing game. Bruce Arians’ defense is much better than Washington’s, and won’t be caught off guard the way the Skins were. Cardinal cornerback Patrick Peterson shut down Randall Cobb in the last game, limiting Cobb to three catches for yards. Green Bay wide receiver Davante Adams caught four passes for 48 yards and a touchdown at Washington last Sunday, but he is out with a sprained MCL in his right knee – as is tight end Andrew Quarless. On paper it looks like the Cardinals have a decided advantage in this matchup. Mike McCarthy moved Clay Matthews inside to improve the run defense mid-season, with positive results. Once the Packers have a lead Matthews is shifted back outside to capitalize on his pass rushing prowess. The Cardinal offensive line is much better than it was in recent seasons, with the additions of left tackle Jared Veldheer and left guard Mike Iupati providing a significant boost to the unit. Former Patriot Ted Larsen is playing the best ball of his career, and has replaced the #7 pick of the 2013 draft, Jonathan Cooper in the starting lineup. The Packers need to win this battle of the trenches in order to win this game. In Arizona’s losses this season they were never able to get anything going on the ground, and become one-dimensional with unfavorable down-and-distance situations. Arizona running back David Johnson can run between the tackles and also be a matchup nightmare for a linebacker out of the backfield. Ha Ha Clinton-Dix has developed into an accomplished playmaker in the Packer secondary, but the big question is whether or not corner Sam Shields will play. Shields is listed as questionable, but still needs to pass the league’s concussion protocol before he can take the field. Even if Shields can suit up, the advantage here goes to Arizona. Larry Fitzgerald, Michael Floyd and John Brown give Carson Palmer one of the best wide receiver trios in the league, and that’s without considering the tight ends (Jermaine Gresham and Darren Fells) or running backs (David Johnson and Andre Ellington). It is imperative that Green Bay mounts an effective pass rush to give their secondary a fighting chance. I certainly do not expect another blowout, but Arizona appears to be the superior team in nearly every aspect of this game. Matthews and Julius Peppers should create enough havoc on defense for Green Bay to keep it relatively close, but the Cardinals should be able to advance to their first conference championship game since the 2008 season. 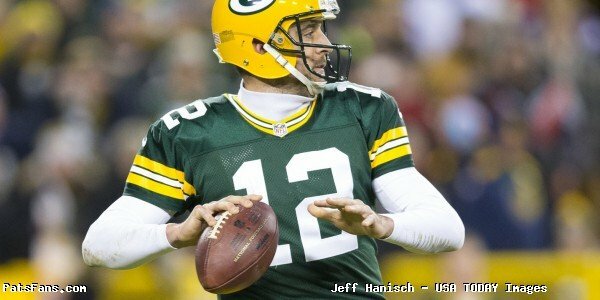 This entry was posted in Uncategorized and tagged 2015 NFL Season, 2015 Playoffs, Aaron Rodgers, against the spread, Arizona Cardinals, betting line, Carson Palmer, Divisional Playoff game, Green Bay Packers, NBC, NFC, NFL, odds, picks, playoffs, predictions, television, tv on January 15, 2016 by John Morgan. Jones Apologizes For “Pretty Stupid Mistake”, But What About the Future? The Patriots are the best team in the league at blocking out the noise and focusing on their subject at hand. It was never more apparent than last season’s Super Bowl win over Seattle. Leading up to the game, the team, coaches and Tom Brady were overrun with questions over the ridiculous “Deflate-gate” accusations. 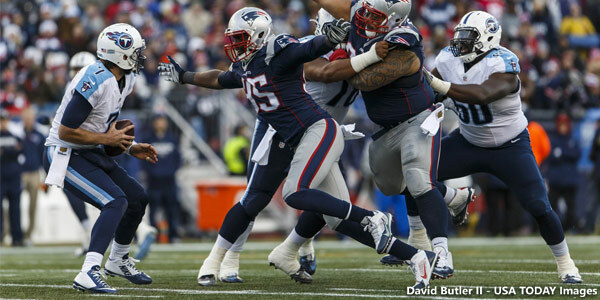 Bill Belichick masterfully had the team tune out the noise and the Patriots were ultimately victorious in the desert. Now the team is preparing for a big playoff game having to answer more questions about issues that have nothing to do with the game at hand on Saturday. By now everyone knows that Chandler Jones was treated and released at Norwood Hospital on Sunday after showing up at the Foxboro Police Station seeking assistance. According to reports, Jones showed up incoherent but polite, respectful and asking for assistance. It is now widely reported that the substance that Jones ingested and had a bad reaction to was synthetic marijuana. The Patriots released a statement earlier this week stating the bare bones of the case in that Jones was treated at the hospital and released on Sunday. He was in attendance on Monday at Gillette Stadium for workouts and meetings. On Thursday, Bill Belichick started off his press conference with a statement saying that his primary concern was the health of Jones moving forward. Asked by ESPN’s Mike Reiss if Jones’ status would change on Saturday due to this incident, Belichick snapped back at Reiss. “We’ll see on Saturday. I could just Xerox you a copy of the game plan and you can send it over to Kansas City. That might be easier for all of us,” Belichick said. While most people (especially in New England), are focusing upon the fact that the substance (synthetic marijuana), is not illegal either in Massachusetts or in the NFL, it still showed a terrible lapse in judgement in the Patriots leading sack producer with less than a week before the team’s first playoff game. Jones is considered one of the team leaders and having one amble into the local police station incoherent and seeking assistance is an added distraction that the team and Belichick doesn’t need right now. Jones missed the last game of the regular season with a toe injury and was battling an abdominal injury prior to that. After a hot start to the season, where he at one point was leading the league in sacks, Jones cooled off down the stretch in part due to injuries. This incident is being looked at by the league, and although this synthetic marijuana isn’t illegal by league standards, don’t expect that to remain so. What happens to Jones with the league? Probably nothing at this point. He wasn’t arrested only treated by medical personnel. And since he’s never had a brush with league discipline in the past, he wouldn’t fall under the guidelines for suspension. But the league’s inconsistencies at meting out punishment is now well known. The bigger picture for Jones who wants to move forward and put this ugly incident behind him is what happens in the future. The talk all season long has been on how the Patriots plan on handling the rookie contracts of Jones, Dont’a Hightower and Jamie Collins. Those three become free agents in 2017 along with Logan Ryan, Duron Harmon, Malcolm Butler (restricted), and exclusive rights FAs Rob Ninkovich and Jabaal Sheard. The Patriots like to sign their young players up early rather than wait for them to hit free agency where the team could get locked into a bidding war for a player’s services. Right now, Hightower and Collins will be the priority to get signed and locked up. Jones will have to wait possibly until next season to be looking at a renewal. With Rob Ninkovich and Jabaal Sheard already on the roster and two rookies that they drafted in 2015 (Geneo Grissom and Trey Flowers), the team has the option of letting him walk. Both Grissom and Flowers flashed some potential this season, so if the team decides to let Jones play out his contract and he should command some high dollars on the open market, the cupboard wouldn’t necessarily be bare. But we’re way ahead of that scenario right now and that is what lies immediately ahead and that is the playoff game against the Kansas City Chiefs. Jones made the first step forward in apologizing for his behavior and lack of judgement, stupid as he put it. Fine, he and the Patriots would like nothing more than this to fade away into a non-story in the days to come. The best way for Jones to make that happen? Is to play and play well not only on Saturday but in a few more games down the road in the playoffs. That would be the easiest way for Jones to put this incident in the rear view mirror and set his sights moving forward to a career trending back upward. Putting out a stinker of an effort would only draw more questions and no one needs that right now. He’s been a positive influence in the locker room, seems to be very popular with his teammates and a huge fan favorite with his quick smile and always interacts with fans young and old during training camp. He’s been an above average player who is teetering on the edge of becoming elite from time-to-time. He’s seen first-hand how quickly all that can change with one stupid mistake. Luckily no one including himself was hurt on Sunday. How he chooses to handle this and move forward is strictly up to him. Playing at home in Gillette Stadium this weekend is a bonus as no doubt he’ll hear nothing but cheers as he takes the field. So which ‘95’ takes the field on Saturday? All of New England will be watching. 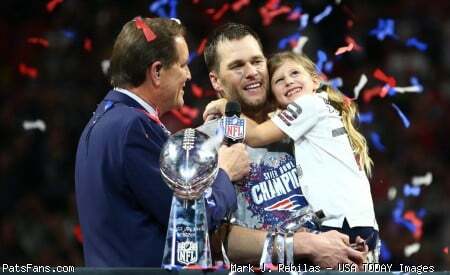 This entry was posted in Patriots Commentary, Patriots News and tagged 2015 NFL Season, 2015 Patriots, Chandler Jones, DeflateGate, Divisional Playoff game, Foxboro police, Jones hospitalized, Kansas City Chiefs, New England Patriots, NFL, Patriots, Patriots edge rushers, synthetic marijuana on January 14, 2016 by Steve Balestrieri.